In 1908 Charles Loring commissioned young architect William Gray Purcell to design a memorial arch. That project, revealed in Purcell’s papers at the Northwestern Architectural Library (a fabulous historical resource at the University of Minnesota), was a mystery to me. Where was this memorial arch supposed to be located? This “presentation rendering” created by William Gray Purcell for Charles Loring is from the UMedia Digital Archive. Additional information on the William Gray Purcell Papers can be found by following the above link — as well as this one from organica.com and Mark Hammons. Like a lot of other people I’m curious to see the new look of Keewaydin Park and School. Construction is underway. It has to be an improvement over what was there a few years ago. Okay, it was a long time ago. In 1928-29 the park board hauled in 38,600 cubic yards of fill to bring the playing fields up to grade on one side. Clearly the neighbors tried to help by discarding their refuse there, too. The crate says “Morell’s Pride Hams and Bacon.” But that wasn’t enough; the fill kept settling. The park board continued to fill the former swamp in 1930-31. By 1932 the field had been filled sufficiently to be regraded and have tennis courts and a wading pool finished. By 1934 the grounds looked much nicer. Keewaydin was one of the early collaborative projects between the park and school boards. In the park board’s 1929 annual report it noted that the park had one of the best-equipped shelters for skating and hockey rinks due to the “well-appointed” basement rooms of the school. The doors on the lower level in this photo must have been the entrance to those rooms. Anybody remember skating there or going to school there when it was new? Does anybody want to take a photo of present construction and email it to me? I forgot to zip over and take one Sunday when I was at Longfellow House. I started tending this garden in 2006, but really took it on in 2007. In 2007, I was living in St. Anthony East neighborhood, and I lost my home to foreclosure. I didn’t want to leave my perennials behind, so I moved them to the triangle. In this same time period, another house in the neighborhood was demolished after a fire, and I was disappointed to learn that when that happens, any perennials or shrubs are ripped out, too. In 2007-2008 time period a lot of houses were being razed on primarily the North Side, so I got hold of the list of properties to be razed and went ‘plant rescuing’ before the bulldozers got in. I remember one afternoon it seemed like me and the bulldozers racing around the streets together! For awhile I kept a blog of my ‘guerrilla gardens’ (haven’t been able to keep up with it that past two seasons) and for the purposes of that blog, I dubbed Sibley Triangle “Foreclosure Park.” There are a number of really great specimens in the garden that I got from these rescue trips. Especially the ‘Hope for Humanity” rose. Well, maybe it’s not that variety, but I don’t want to hear about it. I like thinking it’s a Hope for Humanity. It seems fitting. Before I took over the park, it had been abandoned for quite some time. 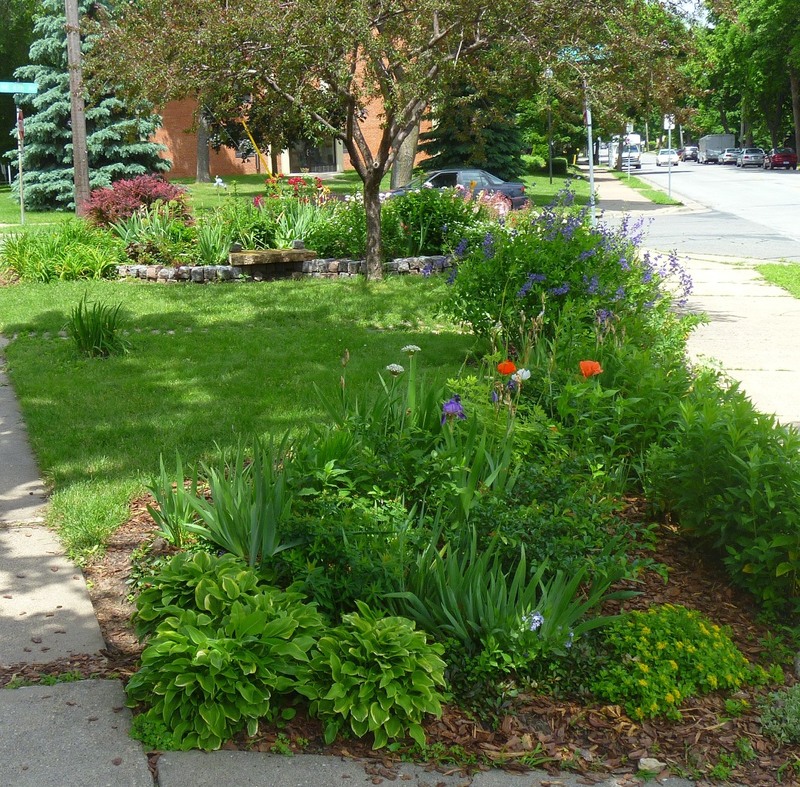 Before that, St. Anthony East had a neighborhood garden group that installed the granite pavers and built the raised bed. The indigo baptisia is the plant that remains from this group. Water had been provided by ‘Phil,” a nearby homeowner, but after he either passed away or moved away, and there was no easy water access, the park was no longer cared for by this group. This is why I am such a pusher and shaker when it comes to making sure we continue to have affordable water for this space. Downtown in the water permits department I have been referred to as “the particular woman with the particular garden!” LOL. I am copying Kathy Kittelson on this e-mail as she was part of the aforementioned gardening group and she may have pictures. I was told that when Our Lady of Lourdes parochial school was across the street from the Triangle (where the public housing building is now), that the Triangle had marble pits where the kids (probably boys) played marbles. I was told that if I kept digging, sooner or later I would find marbles, and in fact I have two that I have found there! If there is a way to get pictures of Our Lady of Lourdes School, maybe there would be pictures of the Triangle there. That would be a fun research project. It is such an honor to take care of this space. It is really cherished by the neighbors, and is a destination spot that people now walk to. I learned that one neighbor even referenced it as a neighborhood amenity to a new tenant in the area! NOTE: Thanks so much, Robin, for telling the story and for taking care of a space that we all can enjoy. Does anybody have any photos of Our Lady of Lourdes school—or know of any? Let me know where I could find them, or send them to me and I’ll post them here. Excellent stories all. And all still part of our city’s life. Adrienne was the only minneapolisparkhistory reader to correctly name a park property shown on the 1897 map of Minneapolis that is no longer a park. She named Meeker Island—an excellent find. Now she is enjoying a free subscription to minneapolisparkhistory.com. The other two park properties depicted as parks in 1897 that are no longer were Hennepin Avenue South from Loring Park to 31st Street and Lyndale Avenue North from Western Avenue to Farview Park. 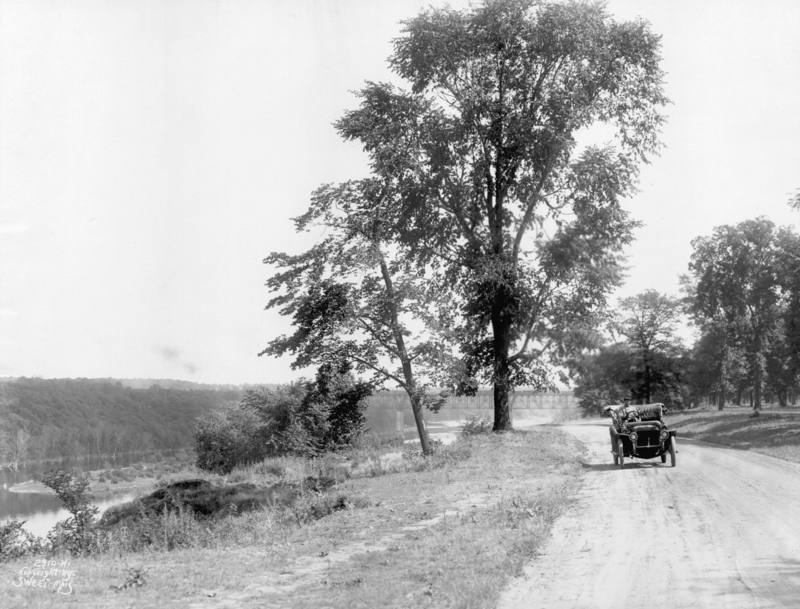 Both were still parkways in 1897, but were turned over to the city in 1905 when it became evident that they would always carry too much traffic to be the parkways the park board had envisioned. That was a tough question because the green in those parkways is a little hard to see on the map. So I’ll give you three new questions, all based on photos. Name the three park properties from which the following photos were taken. MPRB employees are eligible to win, too! All photos were taken May 30, 2012. Bonus question: Where did all the dirt come from to make this hill? It’s not completely clear who the priest hopes to “save” here. One of the best skyline views of Minneapolis. Usual great prize of free subscription to minneapolisparkhistory.com for the first correct answers. If any park in Minneapolis should be a “memorial” park, perhaps it should be Longfellow Field, because it was bought and built with war profits. It would be hard to explain it any other way. The neighborhood around present-day Longfellow Field is one of the few in the city that didn’t pay assessments to acquire and develop a neighborhood park. That’s because the park board paid for it with profits from WWI. The story begins with the first Longfellow Field at East 28th St. between Minnehaha Avenue and 26th Avenue South. (There’s a Cub Store there now.) It was once one of the most popular playing fields in the city—and it is the largest playground the park board has ever sold. The origins of that field as a Minneapolis park go back to 1910 when the park board’s first recreation director, Clifford Booth, recommended in his annual report that the city needed a playground somewhere between Riverside Park and Powderhorn Park. Clifford Booth, shown here in 1910, was the first recreation director for Minneapolis parks and an unsung hero in park history. It was the only addition he recommended to the playground sites he already supervised around the city. 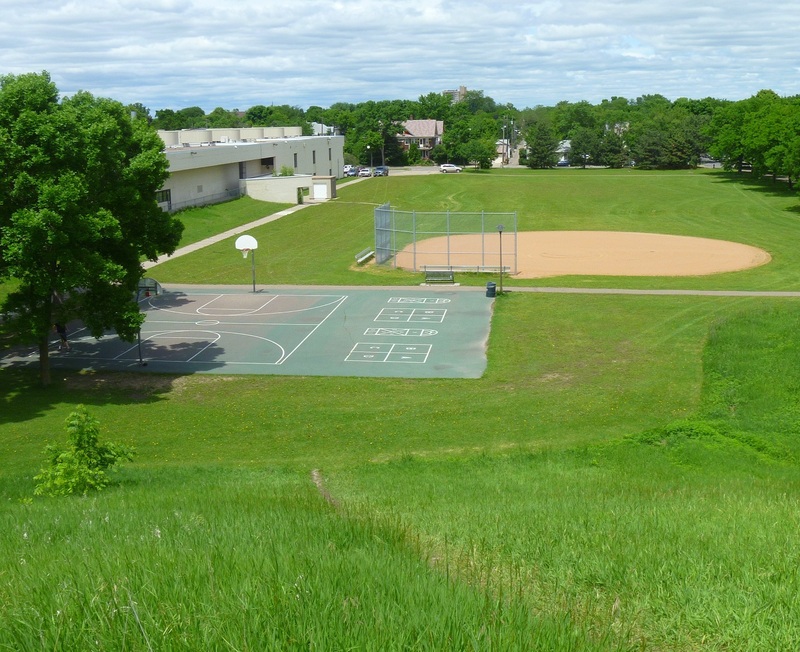 The following year, the park board found the perfect place within the area Booth suggested: an empty field just off Lake Street, about equidistant from Powderhorn and Riverside, a stones throw from Longfellow School, easily accessible by street car, and it was already used as a playing field. The park board purchased the 4-acre field in 1911 for just over $7,000 and spent another $8,000 to install football and baseball fields, tennis, volleyball and basketball courts, and playground equipment. An architect was hired to create plans for a small shelter at the south end of the park, but when bids for the shelter came in at more than $10,000, double what park superintendent Theodore Wirth had estimated, the park board decided it couldn’t afford the shelter. Despite the absence of a shelter, Wirth wrote in 1912 that Longfellow was one of the most active playfields in the city. Longfellow Field and North Commons were the venues for city football and baseball games for two years while the fields at The Parade were re-graded and seeded. The popularity of the field was attested to by the police report in the 1913 annual report of the park board, which claimed that additional police presence was necessary to control the crowds at football games at Longfellow Field and North Commons. I was surprised when I learned that the park board sold the park in 1917. The park board had never sold a park before. Why then—after 34 years of managing parks? And why this park? The park board’s explanation in the 1917 annual report was pretty weak, stating only that the field “became unavailable for a playground on account of the growth of manufacturing business in the vicinity.” The property was already on the edge of an industrial zone—see photo above—when it was purchased, so this was no revelation. The park board resolution on October 17, 1917 to sell the land provided a bit more explanation, but it still seemed less than forthcoming. It wasn’t just the growth of manufacturing business, the resolution claimed, it was also the school board’s decision to close Longfellow School and build a new school farther south. Moreover, the park board claimed that to make the playground useful it would be necessary to invest in improvements and a shelter. Given the other shortcomings of the site, the park board didn’t think it prudent to make those investments at that site. So the park board declared that the site was no longer useful for a park, a legal requirement to get district court permission to sell the land, and it was sold for $35,000 to the Minneapolis Steel and Machinery Company. At the time the park board decided to sell the field it also expressed its intention to find a “more suitable area” for a park and playground nearby in south Minneapolis. Less than two weeks after the sale was announced, the board designated land for a second Longfellow Field, the present park by that name, about a mile southeast in a much less populated neighborhood. The park board paid the $16,000 for the new land—not just four acres, but eight—and for initial improvements to the park from the proceeds of the earlier sale. It was a boon for property owners in the vicinity of the new Longfellow Field: a new park without property assessments to pay for it. The owners of three houses that had just been built across the street from the park must have been thrilled. When I learned all of this a few years ago, I assumed that in the end the land deal was about the money—the opportunity to sell for $35,000 land the board had bought only six years earlier for $7,000. Even if you subtract the $8,000 spent on improvements, that was a nice return. And to keep that sum in context, remember that the park board shelved plans for a park shelter when bids exceeded estimates by $5,000. Thirty-five grand was a lot of money for a cash-strapped park board. But the deal still puzzled me, especially because of the unusual way the transaction was introduced in park board records. Talk about asking to be gouged! Who starts negotiations that way? Name a price? That seemed fishy. So did the speed of the deal. Two committees were asked to report back on the issue the following week, the first indication that someone was in a big hurry to get a deal done. The joint committees not only reported back a week later, they had come up with a price, $35,000, and had essentially concluded the deal. There hadn’t been time for much dickering over the number; the park board had a very motivated buyer. Moreover the board selected land to replace Longfellow Field only two weeks later. As decisive as early park leaders often were, this was unprecedented speed. Too much money. Too fast. Too little explanation. Perhaps too little deduction on my part as well, but that’s where the matter stood for me the last few years until I decided recently to look into it a bit more as I was compiling a list of “lost parks” in Minneapolis. What I learned is that the decision to sell Longfellow Field had less to do with demographic shifts or manufacturing concentration in south Minneapolis than what was happening in the fields of France and the waters of the North Atlantic. For more than two years, the United States had stayed out of the Great War that embroiled much of the rest of the world. But in early 1917 Germany took the risk that a return to unrestricted submarine warfare and a blockade of Great Britain, including attacks on American ships, could bring about an end to the war before the United States could mobilize its army and economy to have a significant impact on the ground war in Europe. Germany knew that its actions would bring the U.S. into the war—and they did. The U.S. Congress declared war on Germany on April 6, 1917—and began to mobilize in earnest. Part of that mobilization was the enactment of the selective service, or draft, law in May 1917 to build an army. Another part was the procurement of weapons and equipment needed to fight a war. Of course the manufacturing capacity for war couldn’t be built from scratch. Existing expertise, process and capacity had to be converted to war products. That meant beating plowshares into swords. That’s where Minneapolis Steel and Machinery came in. In the fifteen years since its founding, Minneapolis Steel had become one of the leading suppliers of structural steel for bridges and buildings in the northwest. That was the “steel” part of the name. The “machinery” was represented most famously by Twin City tractors, but also by engines and parts it manufactured for other companies. All I knew about Minneapolis Steel and Machinery was that in the 1920s it was one of the companies that merged to become Minneapolis-Moline and that it was notoriously anti-union. I didn’t know that it was an important military supplier, too. The first evidence I found of the company’s production for war was a November 10, 1915 article in the Minneapolis Tribune that claimed the company would begin shipping machined six-inch artillery shell casings to Great Britain by January 1, 1916. The paper reported that the initial contract, expected to be only a trial order, was for almost $1.5 million. Less than two weeks later, another Tribune report made it clear that the company’s involvement in the war was much broader. The paper reported on November 23 an order from Great Britain for 100 tractors from Bull Tractor, another Minneapolis company, for which Minneapolis Steel did the manufacturing and assembly. The tractors, still a relatively new invention, would be shipped from Great Britain to France and Russia to supplant farm horses drafted for war service or already killed in the war. Minneapolis Steel was also shipping 50 steam shovels to be used to dig trenches on the Russian front. Both orders were placed by the London distributor for both Minneapolis Steel and Machinery and Bull Tractor. 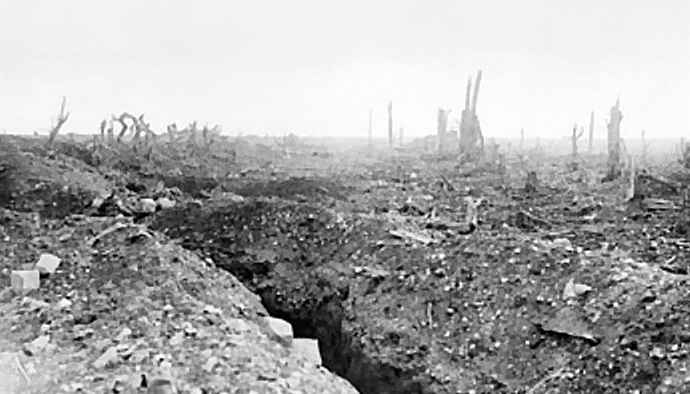 Artillery played an unprecedented role in a war in which both sides were dug into trenches. Blanket bombardments preceded most offensive actions. The result was a French countryside that resembled nothing earthly. The report, which quoted Minneapolis Steel vice president George Gillette, continued that the company was also manufacturing steam hoists for ships and expected more contracts as the building program progressed. More contracts, unsolicited according to Gillette, did indeed materialize in the next month for carriages for 105 millimeter guns and steering engines for battleships. Those contracts reportedly required a doubling of the company’s manufacturing capacity. At that time government contracts accounted for 75 percent of the company’s output. By early 1918, the Tribune reported that Minneapolis Steel and Machinery had already been awarded $23 million in government contracts. In the midst of this rash of new military contracts, Minneapolis Steel asked the park board to name its price for Longfellow Field. Even before the district court finished its hearings on the park board’s proposed sale, the company had obtained building permits for three new warehouses, two of them in the 2800 block of Minnehaha Ave., a short foul pop-up from home plate at the former Longfellow Field. The spirit of the times suggests that while money may have been a factor in the park board’s prompt action, it likely was not the primary motivation for selling Longfellow Field. The park board probably viewed the sale as its civic and patriotic duty to assist the war effort—especially given the other valid reasons for moving the playground. 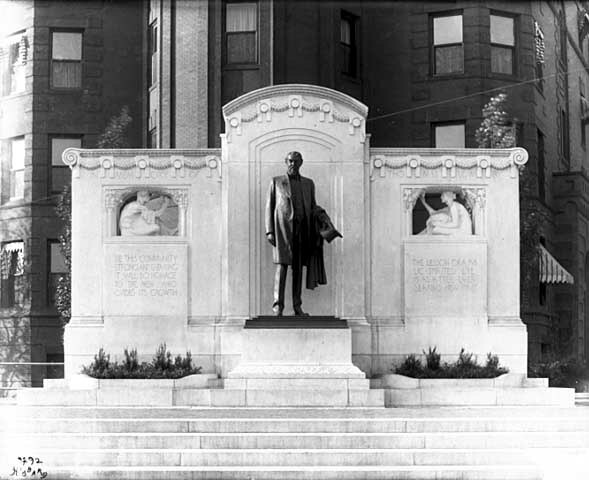 An example of the patriotic fervor generated by the war—to which park commissioners could not have been immune—was a dinner held at the Minneapolis Club, June 12, 1917, to raise funds for the American Red Cross, which was preparing field hospitals to treat wounded soldiers. (Did the army not have a medical or hospital corps?) The next morning the Tribune reported that in one hour the 200 business and civic leaders at the dinner pledged more than $360,000 to the Red Cross. That amount eclipsed the city’s previous one-evening fund-raising record of $336,000 for the building fund for the Minneapolis Institute of Arts a few years earlier. The report is noteworthy especially for the accounts of the number of men present, among the wealthiest and most influential citizens of Minneapolis, who had sons and nephews on their way to France—so different from the wars of the last four decades. One of the two men present who was entering military service himself was introduced as Dr. Todd, son-in-law of J. L. Record, who was president of Minneapolis Steel and Machinery. Record pledged $10,000 to the Red Cross on behalf of his company that night. Among others who pledged money were two bankers who had sons in the military aviation services, F. A. Chamberlain, chairman of First and Security National Bank, and Theodore Wold, governor of the Minneapolis Federal Reserve Bank. Both men—and Chamberlain’s wife—were leaders in raising funds for the Red Cross and in selling Liberty Bonds. Their sons never came home. Ernest Wold and Cyrus Chamberlain died in the air over France in 1918. They were jointly honored by having Minneapolis’s airport named Wold-Chamberlain Field, a name that still stands. This was several years before the Minneapolis park board assumed control of building and operating the airport. Also making pledges at the Minneapolis Club dinner were park commissioners William H. Bovey and David P. Jones. Two other park commissioners who took active roles in the war effort were Leo Harris who resigned from his seat on the park board to enlist and Phelps Wyman who took a leave of absence from the park board to serve as a landscape architect for a group designing new towns for the workers needed at military factories and shipyards. But it was the president of the park board in 1917 who had the most to lose—or prove—during those days of heated anti-German rhetoric. Francis Gross was the president of the German-American Bank in north Minneapolis. 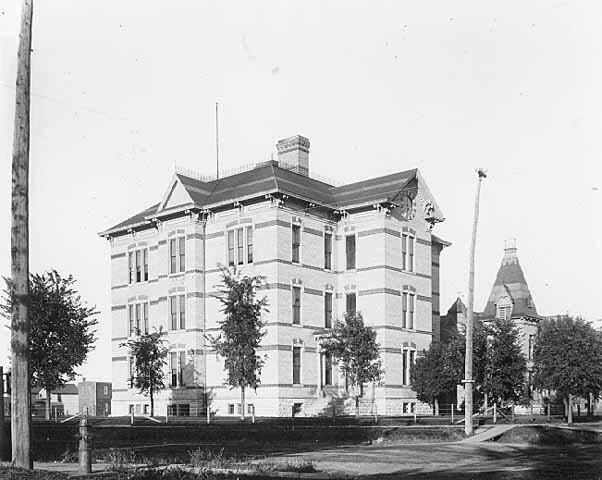 Gross had worked his way up from messenger to the presidency of the bank, which was said to be the largest “non-centrally located” bank in Minneapolis. The bank, founded in 1886, had been located on the corner of Plymouth Avenue and Washington Avenue North since 1905. 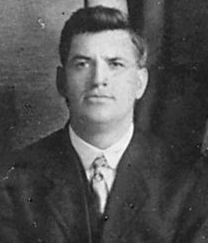 Gross eventually served 33 years as a park commissioner between 1910 and 1949, earned the nickname “Mr. Park Board,” and had a Minneapolis golf course named for him. He must have been indefatigable, because his name pops up in association with many civic and financial endeavors. Of all the park commissioners in Minneapolis history, Frank Gross is one of the most intriguing to me. If I could find some cache of lost journals of any of the city’s park commissioners since Charles Loring and William Folwell, I would most want to find those of Frank Gross. He’d be a great interview subject. Gross’s role in the war effort changed considerably after the U.S. entered the war. The tension of war in the U.S. was underscored when in March 1918, the German-American Bank officially changed its name to North American Bank. Gross asserted that the old name no longer represented the bank’s business or clients, adding “it is not good or desirable that the name of a foreign nationality be attached to an American institution.” In announcing the name change, Gross emphasized that his bank had been the first Minnesota bank to join the federal reserve system in 1915 “to do its part to establish a national banking system in our country so strong and efficient that it could meet any demand our country might make upon it.” (Tribune, March 8, 1918.) Gross’s implicit message: those demands could even include making war on the fatherland of the bank’s founders. Family experience: My father, who grew up in a small town in rural Minnesota, recounts that his older brother and sister, born before WWI, spoke primarily German before they went to school, but my father and another sister, born after WWI, were never taught German. Gross later was a prominent speaker at meetings promoting the purchase of Liberty bonds, especially in predominantly German communities such as New Ulm, Hutchinson and Glencoe, and he spoke at “Americanization” meetings—scheduled in Minneapolis neighborhoods with large “foreign elements” according to the Tribune—about “Patriotism.” He shared the podium at one such meeting in north Minneapolis with Rabbi S. M. Deinard whose subject was “The Obligation of the New Generation to the Old” and Mr. E. Avin of the Talmud Torah who gave a patriotic address in Yiddish. 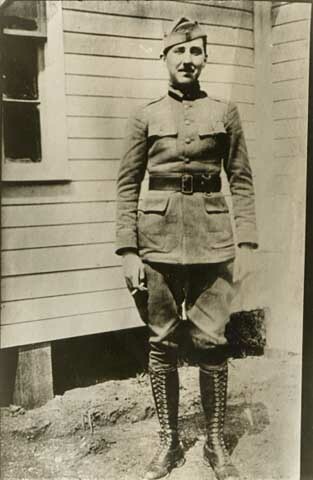 Gross also became an instructor, along with future Minneapolis mayor Wallace Nye, at a school for Minneapolis draftees before they were sent off to military camps. 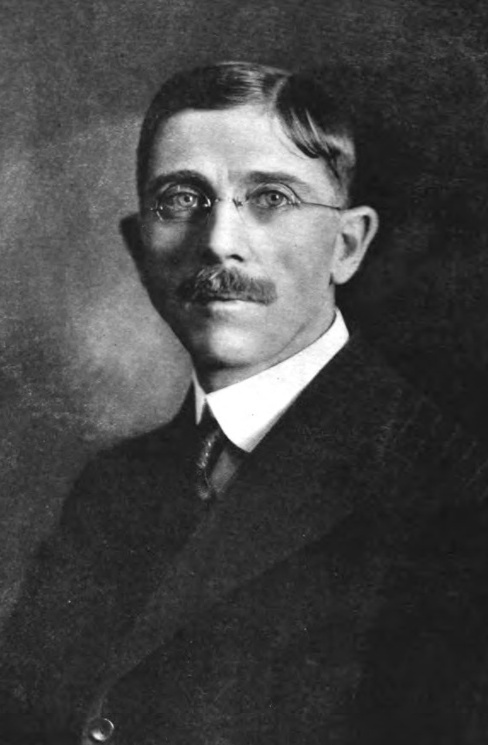 The park board’s annual reports written while Gross was president of the board in 1917 and 1918 reveal very little of the impact of war on parks other than brief references to the heavy burden of taxes and contributions to welfare organizations and the lack of funds for park maintenance. From Gross’s other activities, however, as well as those of other park commissioners, it is apparent that the board would have had a strong sense of patriotic obligation to do what it could to assist the war effort. And that certainly extended to providing expansion space for one of Minneapolis’s largest military suppliers. 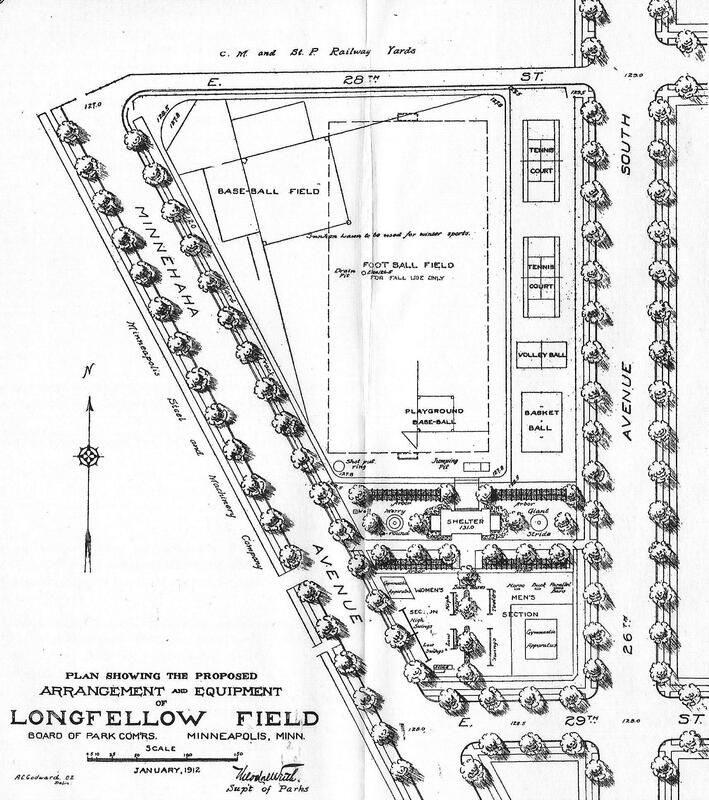 So the original Longfellow Field became a casualty of war—and the neighborhood surrounding the new Longfellow Field acquired a park without having to pay property assessments. 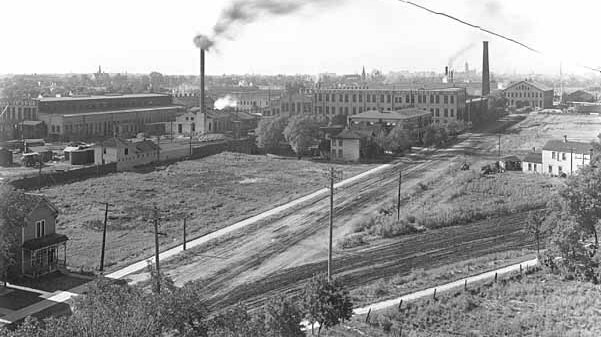 One connection remains between the descendants of Minneapolis Steel and Machinery and Minneapolis parks. Minneapolis Steel and Machinery built Bull tractors, but the engines were supplied by another local company, the Toro Motor Company. Bull, Toro, get it? One contemporary newspaper account (November 17, 1918), describes Toro as a subsidiary of Minneapolis Steel and Machinery, but the website of The Toro Company today does not claim that connection. (The Toro website does claim the company produced steam steering engines for ships during WWI, however, a product that newspaper reports in 1917 attributed to Minneapolis Steel and Machinery.) Regardless of legal relationship, the two companies were closely connected and Toro is the sole survivor of the Bull, Minneapolis Steel, and Toro tractor trio. Toro later focused its efforts on lawn-care products, famously lawn mowers, and still specializes in turf management products mostly for parks, athletic fields and golf courses. Each year in recent times, Toro and its employees, along with the Minnesota Twins Community Fund, have donated the materials, expertise and labor to rehabilitate or upgrade a baseball field in a Minneapolis park. These little gems of ball parks now exist in several Minneapolis parks, from Stewart Park to Creekview Park. Thank you, Toro. I don’t know specific park board needs now, but wouldn’t it be appropriate if Toro helped put in a fabulous field at Longfellow Park in honor of the connection long ago? I’ll leave the final word on WWI in Minneapolis to a preacher. NOTE: Bob Wolff of The Toro Company provides additional details on that company in a “Comment” on the David C. Smith page. (May 31, 2012). In a separate note, Bob said he’d also look into finding photos of the first Toro turf management products used in Minneapolis parks. Stay tuned. Early in my research of Minneapolis park history for City of Parks, Alice Dietz caught my attention. She had a forty-year career in Minneapolis parks, 1916-1957. She rose to prominence in the park system quickly from her start as a recreation director. In January 1918, the park board received a letter from an appreciative mother asking that Dietz be reappointed as recreation director at Maple Hill (Beltrami) Park. She was not reappointed at Maple Hill; in the park board’s annual report for 1918 Dietz was singled out for praise for her work at bigger, busier Bryant Square Park. The next year Dietz moved again, this time to the most visible and important recreation job in the city as the director of the Logan Park field house, the only year-round facility the park board operated. Dietz needed very little time to establish her reputation at Logan Park. 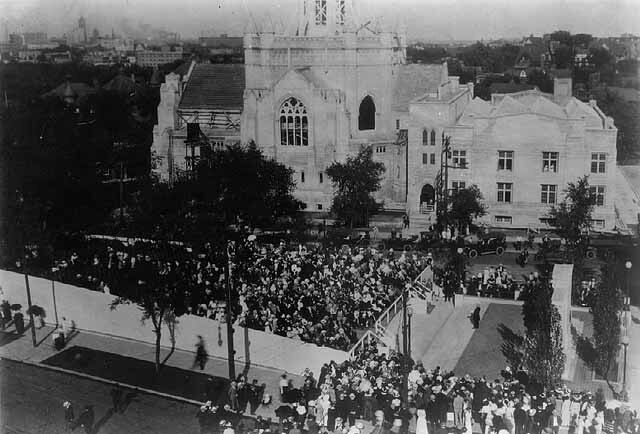 In an article on the opening of the 1920 summer playground season, the Minneapolis Tribune (June 20) commented that Dietz had already “taught the Logan Park neighborhood what a field house was really meant to be.” Apparently in the seven years between its construction in 1912 and Dietz’s arrival the field house had been less successful. Dietz’s work with pageants and performances at Logan Park led to her being handed responsibility for the citywide playground pageants staged at Lyndale Park at the end of each summer. The first two pageants, “Mother Goose” in 1918 and “The Pied Piper” in 1919, were directed by Julia Beckman, a teacher at North High School, but from 1920 Dietz wrote and directed the playground pageants as they became one of the highlights of the summer playground program. Children from every Minneapolis park were involved in creating costumes and props for the program. 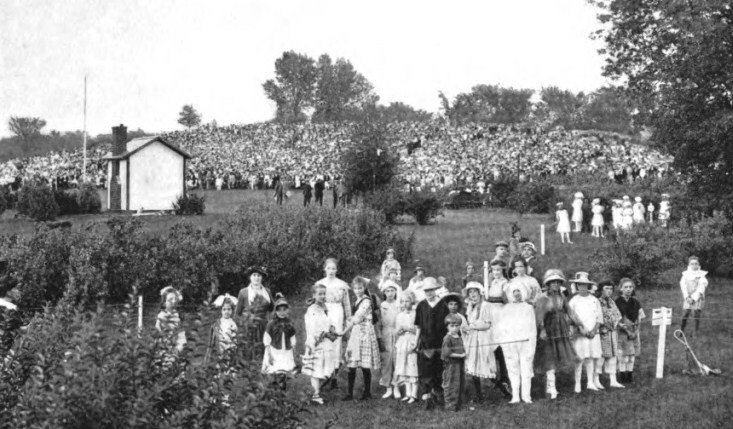 Up to 1,500 children appeared in the pageants each year which were staged on the hill overlooking the Rose Garden in Lyndale Park. The two-night performances were attended by up to 40,000 people. The popularity of the pageants caused the park board to consider more than once (first in 1930) the construction of an amphitheater on the site. Except for a brief hiatus during the Depression, the pageants continued through 1941. The pageant was incorporated into the Aquatennial in 1940, the first year of that celebration. With the ascendancy of the Aquatennial, and with the nation at war, the pageant was discontinued a year later. I recently found in a scrapbook kept by Victor Gallant evidence that Dietz had a background in theater as a performer before she worked for the park board. I had found an item in park board proceedings that Dietz requested a leave of absence for a week in the 1920s to attend a dance workshop in New York at her own expense, which was granted by the board. From that reference I knew Dietz had an interest in dance beyond the classes she taught at Logan Park and the dances she had incorporated into her pageant scripts. But the undated newspaper clip that appeared at the time of her 40th anniversary of employment with the park board (her last year), mentions her own theater performances as a girl. 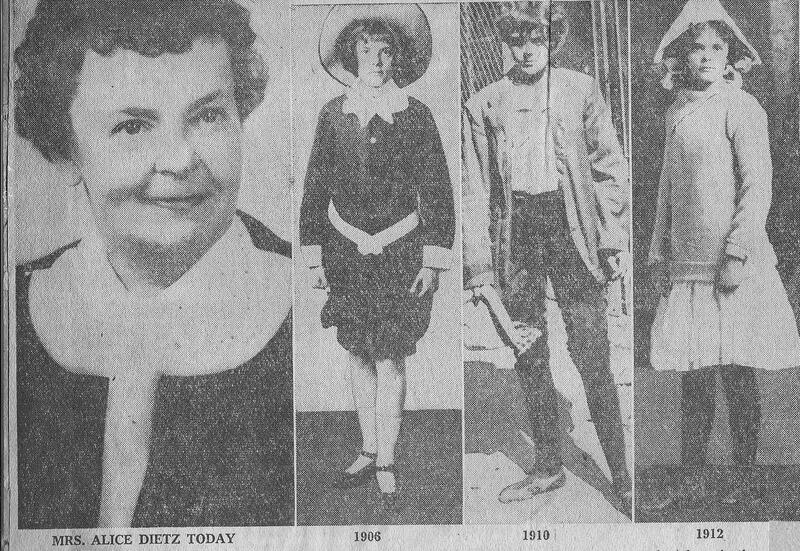 Alice Dietz in 1957 near the time of her retirement and as a child actor, from an undated newspaper clip. The article that accompanied the photos above attributed the 1906 photo to a touring company of “Buster Brown,” the 1910 photo to a performance of J. M. Barrie’s play, “The Little Minister,” with the greatest Broadway actor of that era, Maude Adams, and the 1912 photo to an Orpheum Theater production of “School Days.” In addition to performing with Adams — who originated the role of Peter Pan on Broadway in 1905 and was by some accounts the highest paid actor of her time and the most famous woman in America — Dietz also performed with Eddie Cantor, although that was well before Cantor’s fame on radio. As the Director of Community Centers in Minneapolis parks, Dietz played a central role in the redefinition of recreation in the park context. 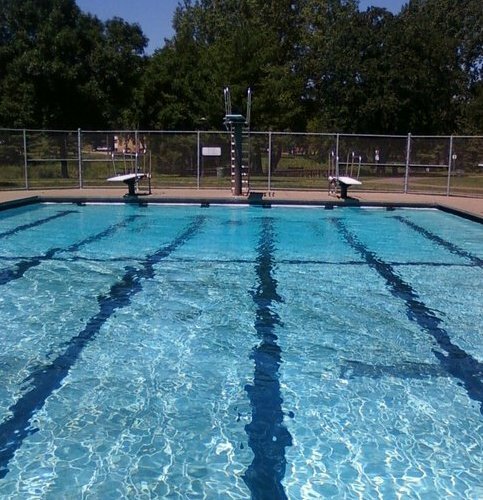 The range of activities and classes offered at Logan Park was unprecedented in Minneapolis. In addition to expanding the range of activities provided for both children and adults, Dietz oversaw the conversion in 1922 of the large social room at Logan Park into a gymnasium for sports. The other recreation centers in Minneapolis at that time were little more than warming houses for skaters. They were later criticized by a national park expert as too big for warming houses and too small for anything else. (Weir Report, 1944.) Despite the phenomenal popularity of Logan Park under Dietz’s direction, the park board did not build another similar facility until the 1960s. Perhaps park commissioners feared that while they could replicate the field house they could not replicate Dietz. Dietz’s role in the development of park programming in the 1920s at Logan Park was significant, but her greatest achievement may have been in training the army of recreation supervisors who worked in parks across the city in the 1930s. With the onset of the Depression in 1930 and the slashing of recreation budgets, Dietz lost her three assistants at Logan. Summer recreation positions in parks across the city were slashed from seventy-five to zero in 1933. When the American Legion tried to fill the void in eleven parks by providing volunteer supervisors, they were sent to Dietz for training. That was just a glimmer of what would follow. For the 1934 playground season the Works Progress Administration inaugurated a recreation program that at its peak would place more than 240 recreation supervisors in Minneapolis parks and playgrounds. The WPA recreation program continued until 1943. During those ten years, thanks to federal and state work-relief programs, Minneapolis parks offered the most comprehensive, year-round recreation programming in the city’s history. The entire program, including the training of hundreds of new personnel, was coordinated by Alice Dietz from her office at Logan Park. That experience served her and the city well after WWII when the park board was able to expand recreation programming and offer year-round activities at a handful of parks. Dietz was once again responsible for training the first generation of full-time, year-round recreation supervisors employed by the park board. These are the outlines of Alice Dietz’s remarkable career in the recreation department of Minneapolis parks. I know little about Alice Dietz beyond what I have related here other than the fact that she was president of the Minnesota Recreation and Park Association in 1947. If you can tell us more about Dietz — or you have another person to nominate as a Minneapolis Park Hero — please comment here or contact me at the e-mail address below. Can you tell where this photo was taken? The land in the foreground is a lost Minneapolis park: Virginia Triangle. Virginia Triangle was at the intersection of Hennepin and Lyndale avenues; the cross street is Groveland Avenue. Hennepin crosses left to right and Lyndale right to left. The photographer was facing north. That’s the Basilica straight ahead, St. Mark’s to the right, with the trees in Loring Park between them. To your immediate right (out of the picture) is Hennepin Avenue Methodist Church. On your left, just past the cross street, is Walker Art Center. Beyond that is The Parade, athletic fields when this picture was taken, but now the home of the Sculpture Garden. Isn’t this view lovely compared to the freeway interchanges, tunnels, etc. of today? 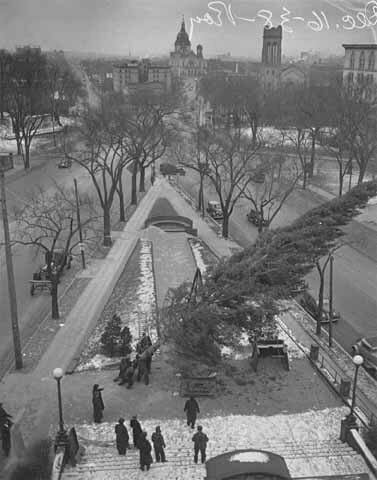 The park board put up and decorated a huge Christmas tree in the triangle each year. I don’t know when that practice began or ended, but I’ll try to find out. If you know, send me a note. He had something to do with urban transit and his mansion was immediately to the left of the photographer when this picture was taken. An avenue in north Minneapolis is named for him. He donated part of the land for The Parade and paid to have it developed into a park. Here is his statue as part of the memorial that was put on the triangle. Virginia Triangle was acquired by the Minneapolis park board on the first day of the last century. A.W. French and his wife donated the property to the park board in a swap. The Frenches had originally donated a piece of land for Hennepin Avenue Parkway, but apparently wanted that piece back and offered what became Virginia Triangle instead. The park board accepted on January 1, 1900. The best guess is that the name of the triangle comes from “Virginia Flats,” the apartment building behind the memorial in the photo above according to a 1903 plat map. Thomas Lowry was joined on the triangle by another statue for a time during the summer of 1931. The Knights Templar held their conclave in Minneapolis that year and requested permission to erect life-sized statues of knights on horses throughout the city. The request was approved by the park board on the condition that all park properties be returned to their original condition without cost to the park board at the conclusion of the conclave. 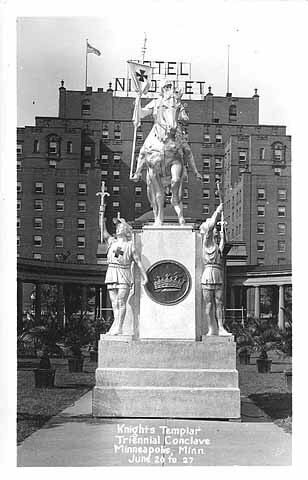 The statue at Virginia Triangle was probably similar to this one placed at The Gateway during the conclave. 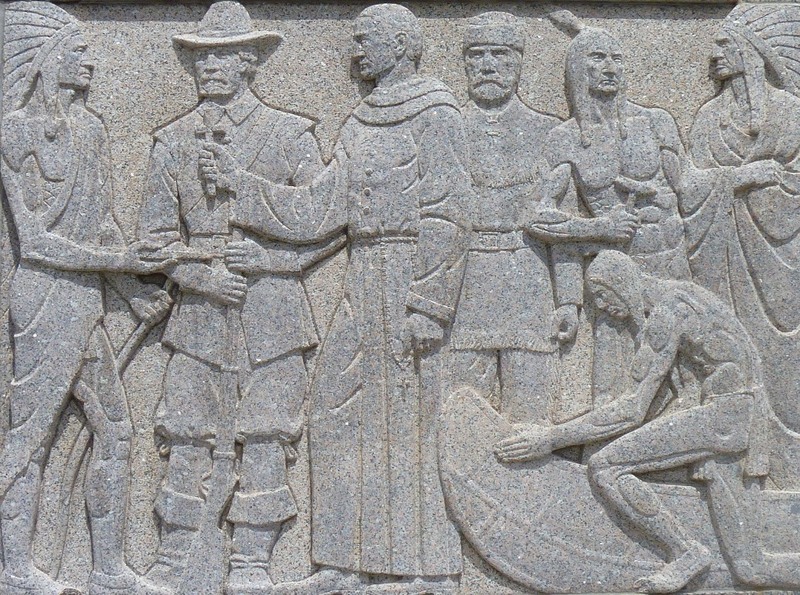 Other statues were placed at The Parade and Lyndale Park. Virginia Triangle was eventually lost to freeway construction when I-94 was built through the city. With freeway entrances and exits needed for Hennepin and Lyndale, the triangle had to be removed even though the freeway itself was put underground below Lowry Hill and Virginia Triangle. The state highway department paid the park board $24,300 for the triangle in 1966, plus the actual cost of relocating the Lowry Memorial. The park board chose another triangle about a half-mile south on Hennepin Avenue at 24th Street as the new site for Thomas Lowry. The low bid for moving the memorial to the new site at Smith Triangle in 1967 was $38,880. Be this community strong and enduring — it will do homage to the men who guided its youth. Charles Loring was married to Emily Crossman for 38 years, to Florence Barton for only 27, but he probably knew Florence longer than he knew Emily. Horace Cleveland had a special passion for the Mississippi River gorge. The banks of the river remain a beautiful and wild place thanks, in part, to his constant encouragement over nearly three decades for Minneapolis (St. Paul, too) to acquire the river banks downstream from St Anthony Falls to preserve them from ruin. The park board finally acquired all the land along the west side of the gorge downriver from Riverside Park to Minnehaha Creek in 1902, more than a year after Cleveland’s death. Cleveland once said that he would feel that he “had not lived in vain” if the city would preserve the river bank in its natural state. Cleveland not only appreciated the beauty of the river, but he foresaw that the cities of St. Paul and Minneapolis would one day grow together. In his mind that probability made it even more important that the cities preserve some wild, natural places along the river that ran between them. We should name a river gorge park for Cleveland just as a tribute to his descriptive powers, even if he hadn’t suggested, recommended, planned, cajoled, informed and educated a generation or two of the city’s leaders on land preservation and city building. I believe the only name ever given to the land along the river was Mississippi Park. A bit plain. Winchell Trail and West River Parkway run through it, and those names can remain. It would cause no one any discomfort to officially name the rest of the west gorge for Cleveland. It’s not like renaming a street, which causes people to have to change their addresses and the city to put up new road signs. It’s just putting a name on a space that essentially has none now. A marker or two along Winchell Trail and the parkway would suffice to let people know Horace Cleveland’s name. That couldn’t cost much. I’ll put up the first hundred bucks. Horace Cleveland River Gorge Park. He’s why we have it, so let’s put his name on it. I think we owe him that. One of the most heavily used playgrounds in Minneapolis for a few decades was Sibley Field at 39th and Longfellow in south Minneapolis. Now, thanks to the efforts of Annie Olson who worked at Sibley Field for several years, we have found some historic photos of activities at Sibley Field. One of my favorites is this hockey team wearing Cloggy’s sweaters. 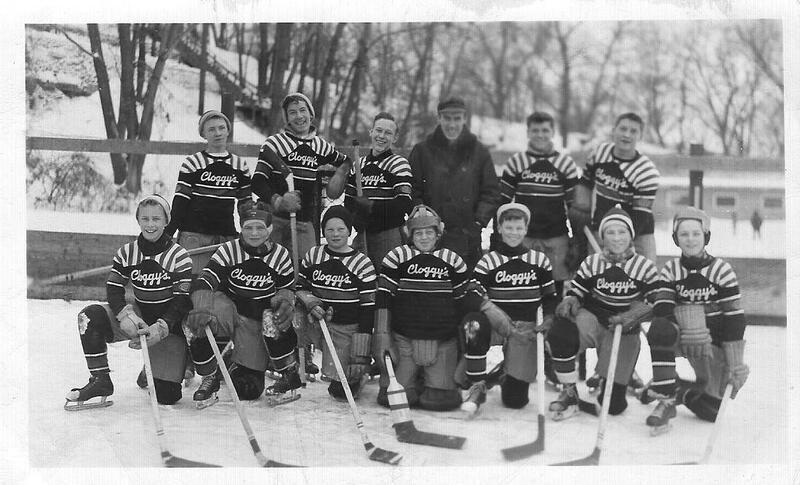 Cloggy’s 1952 hockey team at Sibley Field (Minneapolis Park and Recreation Board). ** Please see the comments by Ron Jelmo below on this photo. In more recent times, Cloggy’s was a bar at 34th and 54th, but that’s quite a distance from Sibley Field. Not exactly a neighborhood bar. The photo provides no identification of the players or coaches. Does anyone know the story of this Cloggy’s team or Cloggy’s sponsorship of teams in general? 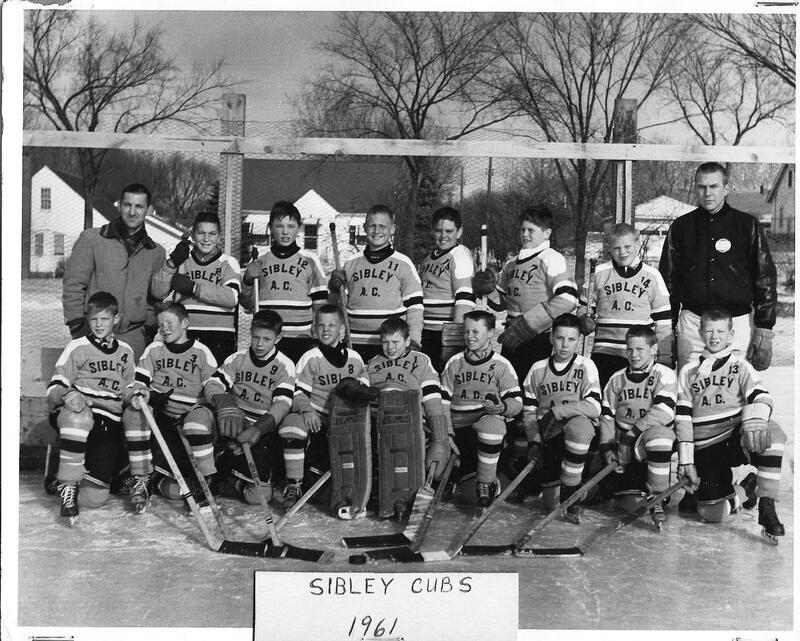 Another group of unidentified players is this 1961 cub hockey team? Anybody know any of these kids? Another picture that I found interesting is this one of unnamed staff or volunteers at Sibley Field. The year is also unknown, although I’m guessing early 1960s. I like this photo because of the “BPC” on the t-shirts. BPC was the acronym for Board of Park Commissioners, the official name of the Minneapolis park board until it was changed in 1969 to Minneapolis Park and Recreation Board. The new name was intended to emphasize the significant responsibilities of the park board for recreation programs — something that didn’t exist when the BPC was created in 1883. I presume they are standing in front of the recreation center that was built in 1924 and stood until the current rec center was built in 1971. 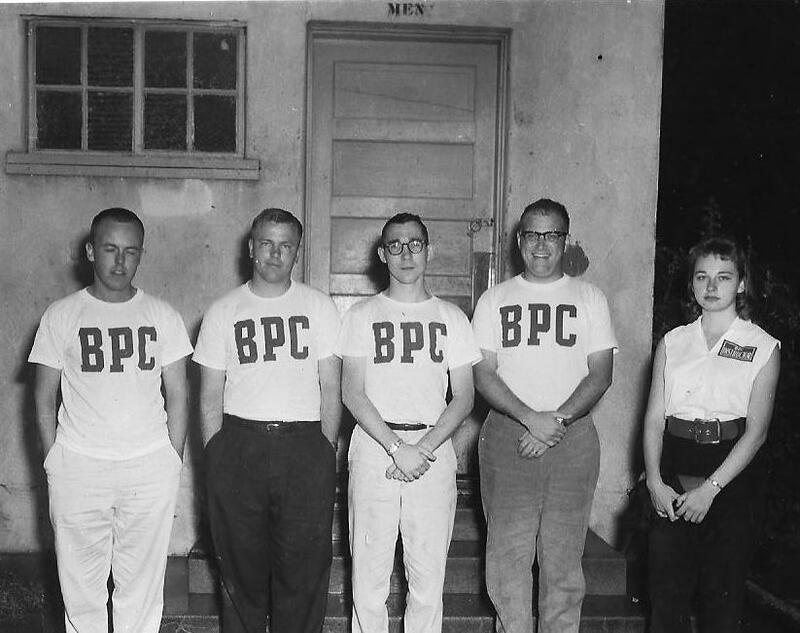 Can anyone identify the people in this picture and whether they were BPC employees or Sibley Field volunteers? Interesting composition in front of the men’s room. Sibley Field was one of the most active parks in Minneapolis from 1946 when it was one of only five city parks that offered year-round programming. The other four year-round parks were Folwell, Nicollet (King), Logan and Loring; North Commons was added to that group in 1956. This series of photos (stapled together) suggests the wide range of activities offered — and groups served — at the park. 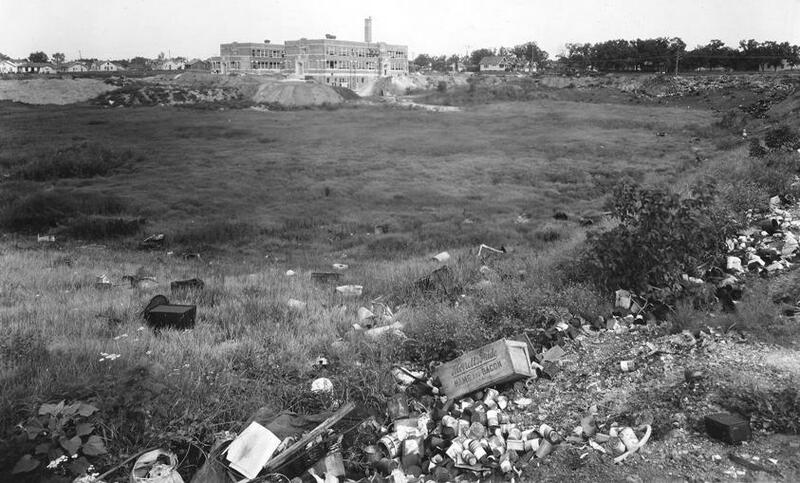 Two years after this photo was taken Sibley Field became one of nine recreation centers in Minneapolis to offer programs for senior citizens, too. The seniors met one morning a week at the park. The program was modeled after a similar program that had first been tried at Loring Park in 1960. A search of old Minneapolis Morning Tribunes reveals that the Cedar Avenue Heights neighborhood (the park was originally Cedar Avenue Heights Field) began to be developed in 1909-1910. Newspapers also reveal that petitions for a park in Cedar Avenue Heights, which the park board received in September, 1921, followed the creation of a neighborhood improvement association in March of that year (Minneapolis Morning Tribune, March 28, 1921). The Tribune reported that the neighborhood improvement association was founded primarily to promote the creation of a double track on the street car line on Cedar Avenue from Lake Street to 42nd Street and an extension of the line south of 42nd. (Park commissioners also appeared at the City Council to advocate extending the Cedar Avenue car line to serve the new bath house at Lake Nokomis.) 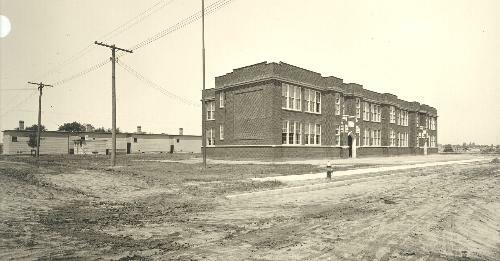 The paper also speculated that day that the association would also support the construction of a new Nokomis High School, which was eventually named Roosevelt High School. 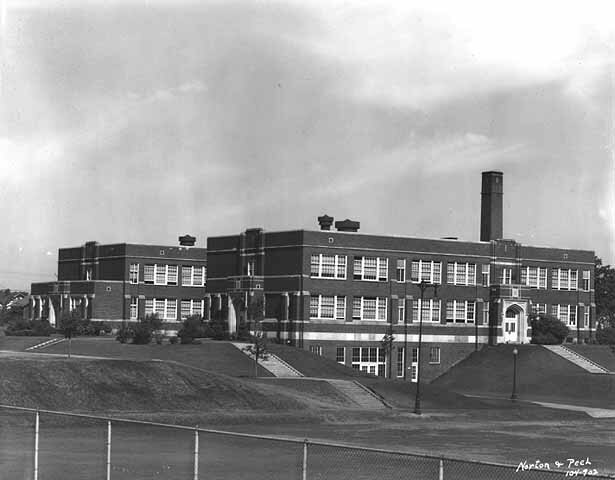 The impetus for the formation of the Cedar Heights Improvement Association in March, 1921 was almost certainly the opening of the new Miles Standish school in January of that year. The school quickly became the center of the community. The Tribune reported that 900 people attended the first meeting of the neighborhood improvement association at the school. Cedar Avenue Heights Field was not the first playing field in the neighborhood. Tribune articles about amateur baseball in 1909 refer to a baseball field — the home field of the Prince Realty team — at Cedar and 42nd Street. I’ve never seen a picture of that field. If you have, let me know where I can find one. About two years ago, when our son-in-law was in the North St. Paul Library, he saw David Smith’s book about Minneapolis parks. He bought one and gave it to me for Christmas. We have enjoyed reading it and looking at the pictures. Jim became acquainted with Minnehaha Park and Parkway when he came to freshman orientation at Hamline in 1948. He particularly remembers the beauty of the lilac trees. When we lived in Rosemount, we came to Nokomis Park to picnic, swim and sail with friends. When we moved to Columbia Heights, Jim started to bike daily, and a few times each summer, he biked the Grand Rounds. We biked it with a church group a time or two. We continued to do that when we lived in Champlin and in north Minneapolis. The house we owned since 1985 was near Lake Harriet and we biked around that lake and also Lake Calhoun and Lake of the Isles. We slid in the snow and watched our grandson’s rugby games at Columbia Park. We enjoyed many picnics near each of those lakes and the Rose Garden, Hiawatha, Nokomis, Farwell, Powderhorn and Wirth. Sometimes there were only two of us; other times it was a family gathering. We celebrated many birthdays and events by having picnics at a park. Following Thanksgiving dinner at our house, most of the guests enjoyed a walk around all or part of Lake Harriet. A recent memory is walking with our five-year-old granddaughter to a bridge over Minnehaha Creek and dropping sticks into the water and watching them float away. We are glad that our new home is near the Parkway, Minnehaha Park and Lake Nokomis, so we can continue to enjoy our wonderful gift of parks.